Ford confirmed last month it plans to invest $2.5 billion to build new engines and transmissions in Mexico and will eventually hire an additional 3,800 workers in a move that underscores a movement of automotive investment south from Canada and the U.S.
$1.1 billion to build a new engine plant within its plant in Chihuahua, Mexico, to build new gasoline engines. Those engines will be exported to the U.S., Canada, South America and the Asia-Pacific region for use in Ford's small cars. That plant will employ about 1,300 workers. $200 million to expand its four-cylinder and diesel engine capacity at the Chihuahua plant and add 500 jobs. Ford makes a 6.7-liter diesel engine for its Super Duty pickups at that plant. $1.3 billion to build a new transmission plant within its plant in Guanajuato, Mexico, to build new transmissions and add 2,000 jobs there. Ford said it will continue to make six-speed transmissions through its joint venture with Getrag at the Guanajuato plant. However, Ford will operate the new transmission plant on its own. "These new engines and transmissions will help deliver even better driving experiences and fuel economy gains for customers around the world," Joe Hinrichs, Ford's President of the Americas, said in a statement from Mexico. Hinrichs made the announcement in Los Pinos in Mexico City. The Free Press reported earlier this week that Ford plans to build a 1.5-liter turbocharged four-cylinder EcoBoost gasoline engine in Mexico. Ford declined to confirm any details about the types of engines or transmissions it plans to build. Ford builds the Fiesta subcompact car in Cuautitlán, and its plant in Hermosillo assembles the the Fusion and Lincoln MKZ midsize cars. The Dearborn automaker's move comes just two days after Toyota said it would end production of the Corolla in Canada and spend $1 billion to build a new plant in Mexico for its popular compact car. A few years ago, Canadian and Ontario officials tried to convince Ford to build its engine plant in Windsor, where it currently operates two engine plants. Ford's Mexico investment also occurs a few months before the Detroit Three and the UAW will renegotiate a four-year contract. 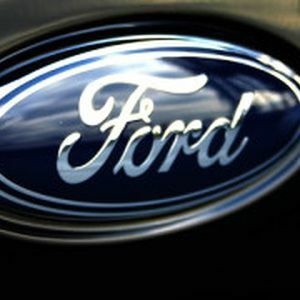 UAW President Dennis Williams said Friday that he is disappointed that Ford and many other automakers are shifting more and more jobs to Mexico. "The fact is that these companies are taking advantage of slave-like wages and corruption permissible through bad trade agreements," Williams said in a statement. "All Americans should be angered that these products are sold in the United States, where American manufacturing workers could have had good paying jobs that respect basic human dignity." The Ford and Toyota announcements also alarmed those involved in the automotive industry in Canada and Ontario. The investment surge in Mexico illustrates how swiftly capital investment can shift directions, taking thousands of jobs along with it. "It would be nice to have Ford say something about their engine plants in Windsor," said Tony Faria, codirector of the office for automotive and vehicle research at the University of Windsor. "It feels like a kick in the teeth every time they announce an engine announcement somewhere else." The investments in Mexico are less alarming for the U.S. automotive industry because the Detroit Three have been investing heavily in plants across the Midwest in recent years as they have rebounded from the Great Recession. Taken together, the Ford and Toyota investments will create 5,800 jobs over the next five years. Toyota has promised to replace the Corolla with another passenger car, but that has done little to ease concerns in Canada, Faria said. "Corolla is one of the top-selling vehicles in the world and certainly at the top of sales North America, and that is what every plant and every community hopes for," Faria said. "So no matter what Toyota brings in, it is not as good as having the Corolla there." Over the past 20 years, as Mexico's automotive industry has matured, automakers have begun to favor the country's lower labor costs, the high-quality cars they have been able to produce there, its free trade agreements and the robust transportation that makes it easy to export cars and trucks. In addition to NAFTA, Mexico has 10 other free trade agreements covering 43 countries, according to ProMexico, an economic development arm of the Mexican government.